Short 20cm? 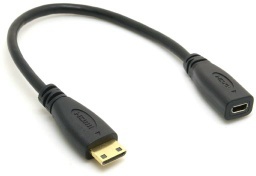 miniHDMI Male to microHDMI Female adapter lead. Ideal for use on Raspberry Pi Zero.